On rctech.net I came across ad for a parts lot of 5b parts. The seller was asking $200 shipped for everything but I was able to get him to sell it for $175. 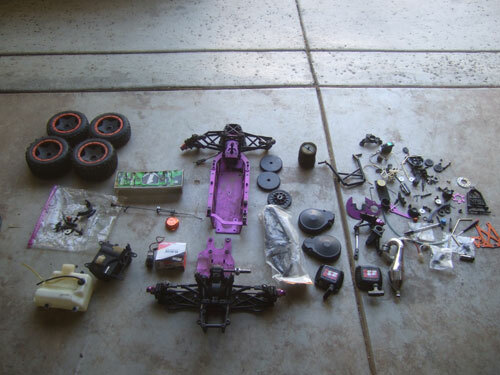 For the most parts it has all the stuff to put together a Baja 5B roller. I think the only thing missing was the engine, shocks, rx battery, motor brace, and some screws. The best part of this parts lot is the 2 servos extra servos it came with, a brand new HS-805BB and a defective HS-7955TG. I was able to send the defective HS-7955TG sero to Hitec and they fixed it for FREE! I ended up selling the defective HS-7955TG for $50 and the HS-805BB for $30. 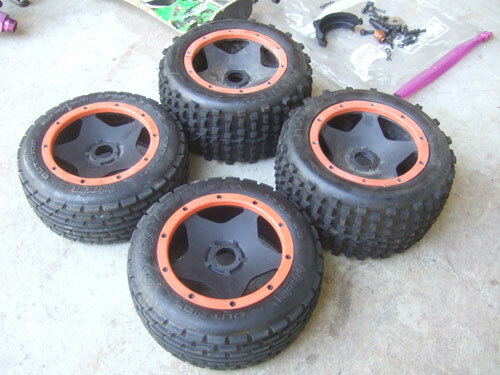 The only things I kept for my 5T is the Hostile mini MX rear tires, sliverback beadlocks, and Aluminum gas cap. 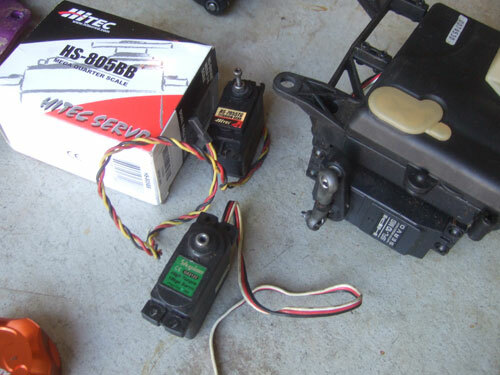 Then I bought a brand new stock 26cc engine and HPI SS shocks for the 5T and move the old stuff to the buggy. After subtracting the cost of the 2 servos I sold from the original cost of the parts lot, I would say it cost me about $300 to get this Baja up and running.